Governor Charlie Baker administration’s interpretation of the law could result in raises going to more highly compensated nursing staff and managers instead. They do much of the grueling work in Massachusetts nursing homes: cleaning soiled sheets, scrubbing floors, and preparing food. Many make barely $11 an hour, and were counting on a new state law that was aimed at boosting their wages. But the Baker administration’s interpretation of the law could result in raises going to more highly compensated nursing staff and managers instead. Housekeepers and other workers who are the lowest-paid employees in nursing homes would be left out, advocates say. That possibility has infuriated the workers union, which fought to secure money in this year’s state budget for the poorest-paid employees — more than 40,000 workers, by the industry’s count. “Far too many of these caregivers continue to live in poverty,” said Herbert Jean-Baptiste, a vice president of 1199SEIU United Healthcare Workers East, the workers union, in an e-mail to the Baker administration. The union is urging the administration to explicitly include these employees — housekeeping, laundry, food service, and activities staff — in the pay raise. State Senator Harriette Chandler, the Senate majority leader, said she is troubled that many workers whom lawmakers thought they were helping lift out of poverty appear to have been shut out of the administration’s plan. “The whole point of this was to reach the people really in the trenches, who do the heavy-duty labor in the nursing homes, so they aren’t having to work two or three jobs to pay their rent and put food on their table,” Chandler said. A Baker spokeswoman said the administration’s interpretation of the language in the state budget that describes who gets a pay raise — “direct care staff” — includes only nurse managers and other nursing staff. She said the interpretation matches one that has long been used, but declined to elaborate. She also said the administration would hold a public hearing later in the fall before finalizing the new rules; written public comments can be made till noon Monday. Worker advocates have also complained that the administration’s proposal for implementing the law fails to show how it will track the money to assure it goes to the intended recipients. 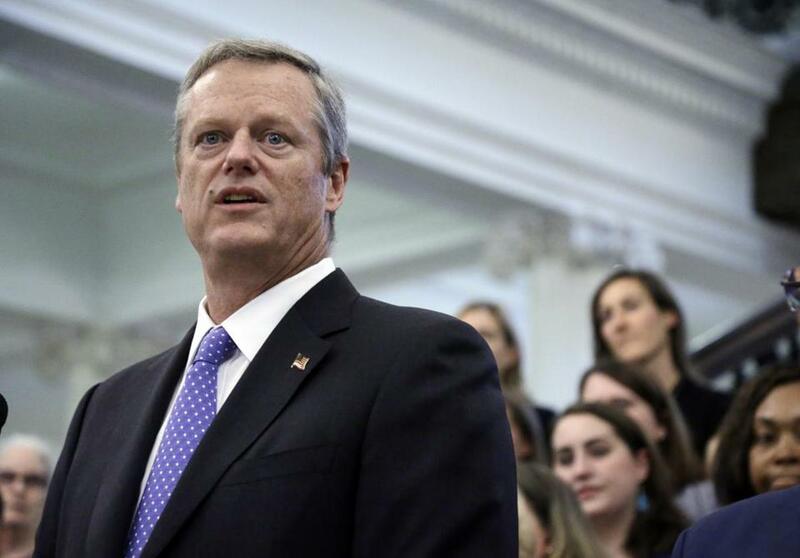 The administration spokeswoman said that once public comments are reviewed, Baker will release details on tracking the money and penalties for nursing homes that misuse the funds. The pay raises, which are expected to begin in November, would be retroactive to Oct. 1. “We encourage and appreciate the input of all stakeholders and will review all comments we receive closely,” the administration said in a statement. The union and elder advocates spent months lobbying lawmakers for the money, saying it was sorely needed to ease financial pressures on thousands of workers and improve the quality of care delivered in the state’s 400 nursing homes. They teamed up with nursing home industry leaders, who said past failures by the state to boost funding for nursing homes has hampered their ability since 2008 to increase workers’ pay through the state-funded Medicaid program. A report by the Massachusetts Senior Care Association, an industry trade group, concluded that nursing aides earn a median wage of about $13 an hour, not nearly enough to cover the cost of rent, food, and transportation. Housekeeping, laundry, and food service workers make even less, the report said. The money will come from a state tax on nursing homes. Massachusetts receives federal cash equal to the amount raised from the nursing home tax. The Baker administration says it interpreted that staff to mean “directors of nursing, registered nurses, licensed practical nurses, and certified nursing assistants.” Directors of nursing are often management-level positions. The union is urging the Baker administration to remove management positions from the list, and to instead explicitly include housekeeping, laundry, dietary, and activities staff workers. The trade association, Massachusetts Senior Care, agrees that low-paid workers need to be on the list. All sides agree that nursing assistants, who bathe, feed, and care for residents, deserve to receive the wage increase. Senator Sal DiDomenico, vice chairman of the Senate Ways and Means Committee, was among a small circle of lawmakers who created the final version of this year’s state budget, including the provision for nursing home worker pay raises. He said in a statement that the Legislature intended for the poorest-paid nursing home workers to receive the money. “These employees are on the front lines caring for many of our most vulnerable elders, and the Legislature wanted to ensure that they were better compensated for their work,” DiDomenico said. Correction: Because of a reporting error, an earlier version of this story incorrectly stated the position of Massachusetts Senior Care Association. The group has advocated for nursing directors, typically higher-wage supervisory positions, to be excluded from pay raises.